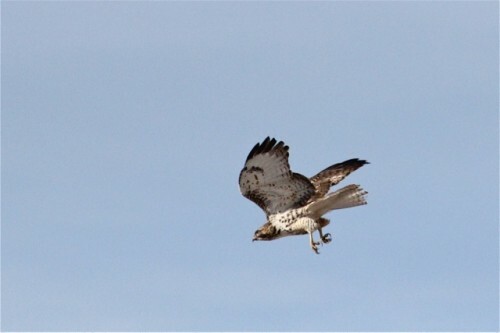 Raptors of the Estancia Valley /Hawks Aloft Inc.
Our longest running study is the summer and winter raptor surveys that we conduct in the Rio Grande and Estancia Valleys. The project began in 1994, the year of our inception and has been ongoing since then. It is an all-volunteer effort, headed up by Jerry Hobart. 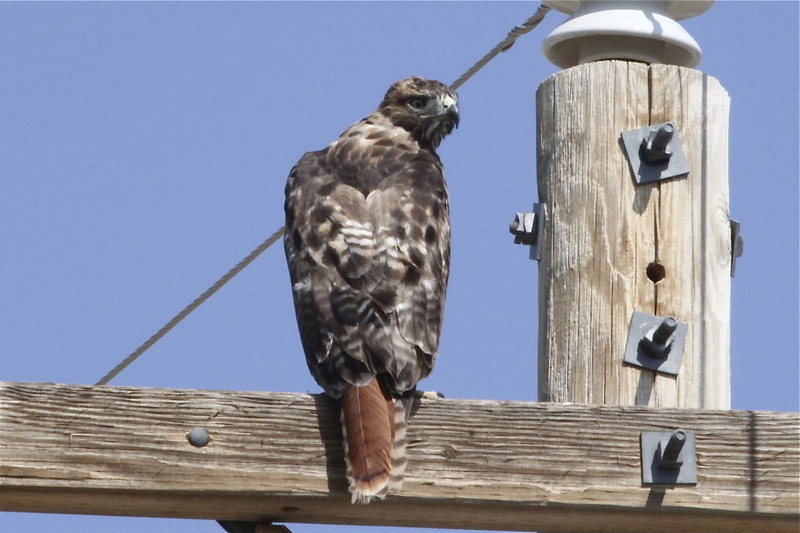 As a result of this and other studies, the Estancia Valley, NM has been declared an Important Bird Area by the National Audubon Society due to it’s high density of eagles, hawks, falcons and owls. Bonnie Long and Roger Grisham monitor one of the two routes in this area. 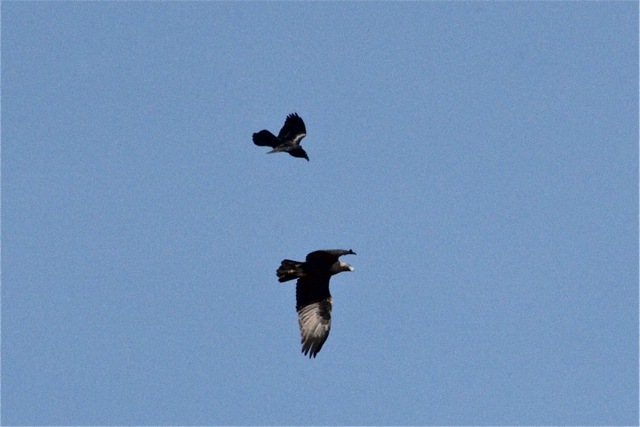 We thank Bonnie for this series of images taken during their surveys in the winter of 2012-13. Red-tailed Hawk. Note the dark patagical marks on the leading edge of the wing. The banded tail indicates that this is a juvenile. Male American Kestrel. 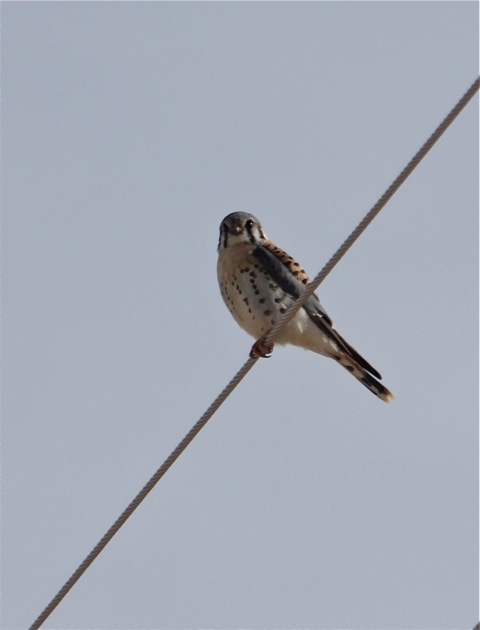 While populations of kestrels are declining nationwide, the Estancia Valley still supports good numbers. Male kestrels have blue-gray wings and a lightly spotted breast. All falcons have dark malar stripes below their eyes to help reduce the reflection of the sun. 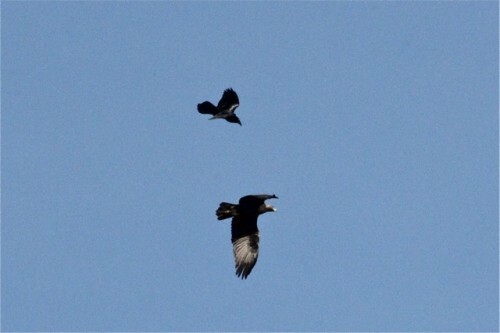 Bonnie and Roger also see and photograph many other species during their surveys. 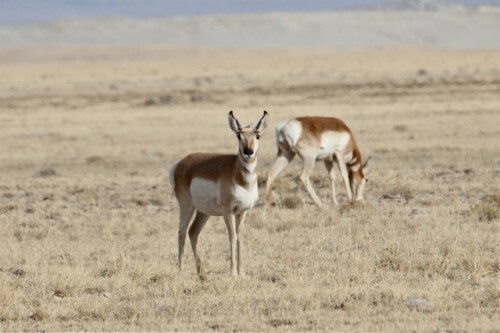 These pronghorn were remarkably close to the lens of Bonnie’s camera. 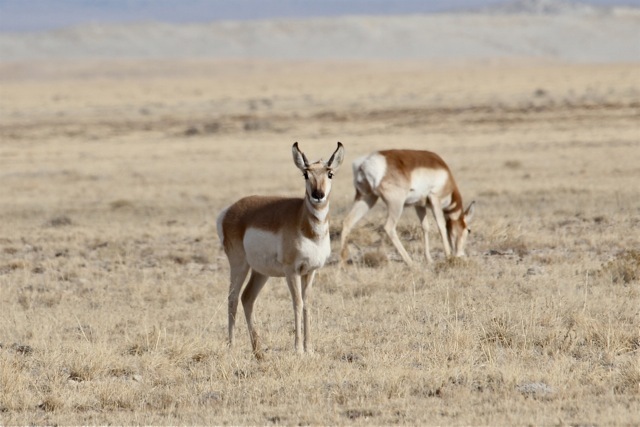 Pronghorn are a common sight during the winter months as they forage on grasslands of the Estancia Valley. 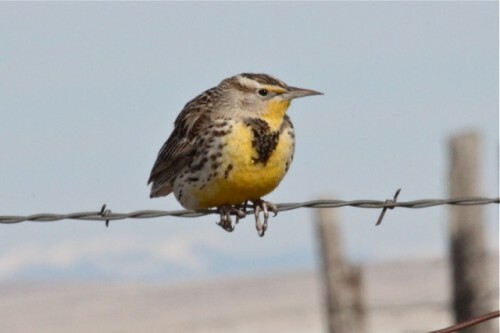 Both Western and Eastern Meadowlarks might be found in these grasslands. 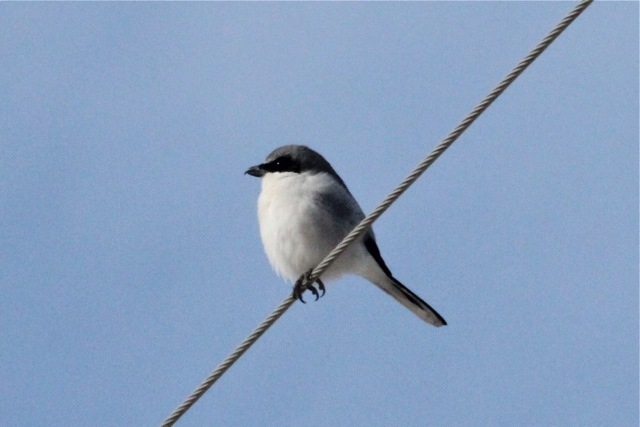 Loggerhead Shrike is a species of conservation concern throughout its North American range. These medium-sized passerines also are called butcher birds for their habit of impaling insects, mice and small birds (their prey) on thorns and barbed wire. Finally, this adult Red-tailed Hawk seems to be looking at the camera as if to ask, “What are you looking at?” From this angle, the red tail denotes an adult bird. 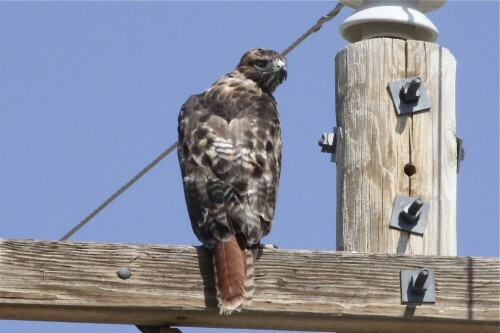 Also evident is the light-colored “V” shape on the back of the hawk, called a scapular V.
It was a beautiful day in the Estancia Valley, the day that Bonnie captured all of these birds with her camera. Thanks so much, Bonnie, for sharing!